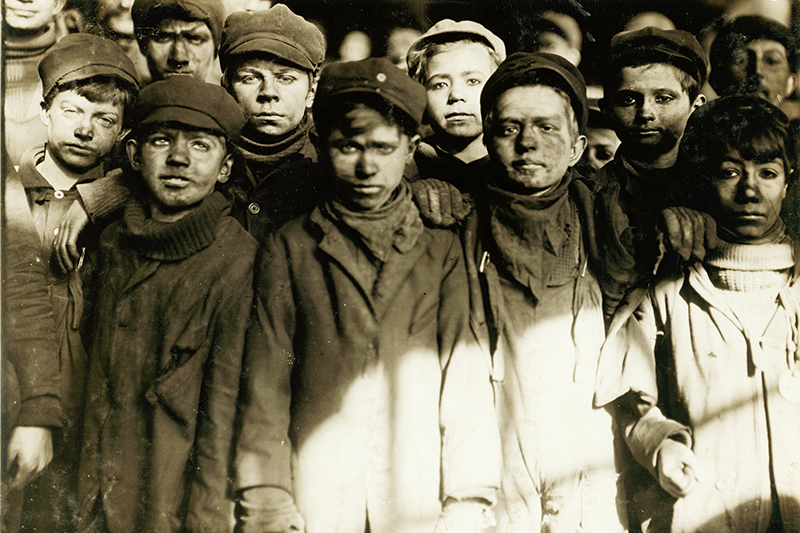 This image of a group of young coal miners is one of the photographs from the records of the National Child Labor Committee. Lewis Hein (1874-1940) was a photographer committed to using the medium to bring about social reform. His works were instrumental in changing the inhumane child labor laws of the United States and ultimately became the photographer for the National Child Labor Committee. During and after WWI he photographed the American Red Cross relief work in Europe and later focused on “work portraits” he felt spoke to the worker’s roll in the modernization of industry. Group of Breaker Boys in #9 Breaker, Hughestown Borough, Pennsylvania Coal Co.